Our people are essential to providing our customers with the very best service in communities around Scotland. We’re passionate about attracting, developing and retaining the best people who can make a positive difference to our business. You could help play an important part in ensuring that we are trusted to care for the water on which Scotland depends. 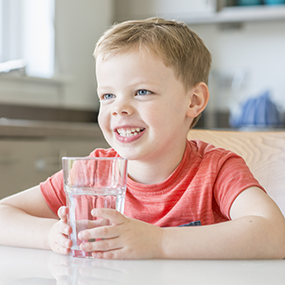 The quality of drinking water received by our customers has never been higher, and satisfaction with the service we provide has reached record levels. But we want to be even better! 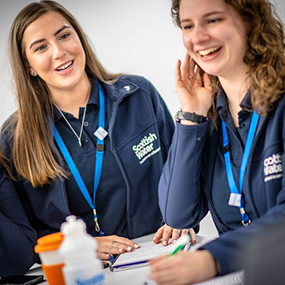 If you’re passionate about delivering a great customer service and can inspire trust and demonstrate pride in your work, we’re confident that you will find Scottish Water a place where you can build on your talents and one where you can thrive. 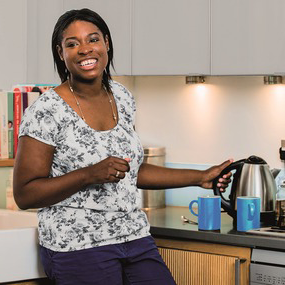 We’re a large business with around 4,000 employees and a very diverse range of roles. We’ve provided an overview of some of the typical roles we have available. 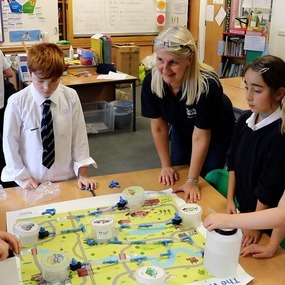 Many of our people have engineering backgrounds and have used and developed their engineering skills in a variety of roles across Scottish Water. Our engineers usually work in our Capital Investment or Strategic Customer Service Planning teams. 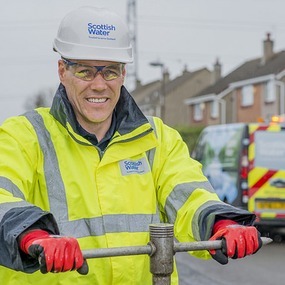 These teams, together with other areas of the business and our supply chain, ensure that we deliver affordable, resilient and reliable water and waste water services to our customers and for Scotland. 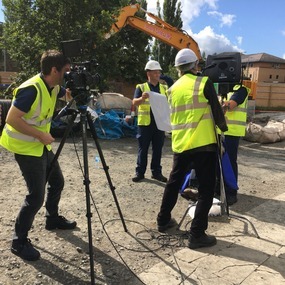 You could be working on projects aligned to our Capital Programme, building new or upgrading current assets and infrastructure or planning how we maintain our assets to manage existing and future demands. 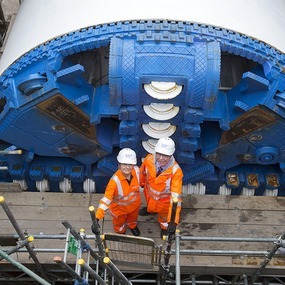 Typical engineering roles we recruit for are: Project Manager; Intervention Manager; Strategic Planner; Asset Planner. Our scientists play a key role in protecting public health, protecting the environment and ensuring we comply with our regulatory obligations. 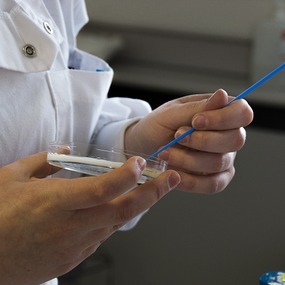 Typically they are involved in testing water and waste water samples and providing analysis in accordance with regulatory and operational requirements. 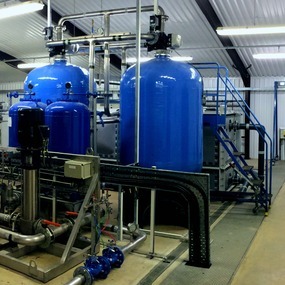 They also get involved in working out what the best processes are for treating water to ensure that our water quality remains high and in line with our customer’s expectations. 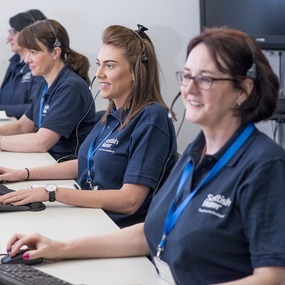 Our Customer Service Delivery team is at the heart of our business. Our field based people ensure that our customers and the communities of Scotland receive the best possible customer experience. If you love being out-doors, enjoy variety in the work you do and are passionate about delivering a great customer service –these roles could be right for you! Our customers can contact us 24/7 about any issues they may be having with our services. Our people assess the enquiry try to resolve it wherever possible and if not then pass it onto the correct team for investigation and resolution. Our aim is provide top customer satisfaction with our service and our Customer Service Team play a critical role in achieving this. If you love helping customers and are dedicated to leaving them with a great impression then a role in our team may suit you. Typical roles we recruit for are: Customer Service Adviser. Our reputation is vital to the work we do. Having the trust of our customers and the Scottish Government is essential to us. The Corporate Affairs team help promote and safeguard that reputation. The Corporate Affairs team also manage our website and social media presence, helping to keep our customers informed and educated. Our Finance Team ensures the efficient and effective financial management of our business. The Finance Team will always seek to excel in supporting and challenging the business by delivering innovative solutions to meet our customer's needs. Our Digital team provides us with the technology to run as a business and serve our customers. Whether a customer is calling the Contact Centre to talk to us, our scientists are testing water samples, or our people are sending e-mails, the team is there digitally enabling them. You will be providing Scottish Water with safe technologies that will deliver improved service performance and provide innovative solutions that align with the needs of the business now and in the future. Our team specialises in all aspects of people management including, Learning and Development, Employee Relations, People Change, Recruitment, Performance & Reward and Employee Experience.